DID SOME ONE SAY CHOC-CHIP COOKIES? My girls and I made the most delicious choc chip cookies on Saturday. 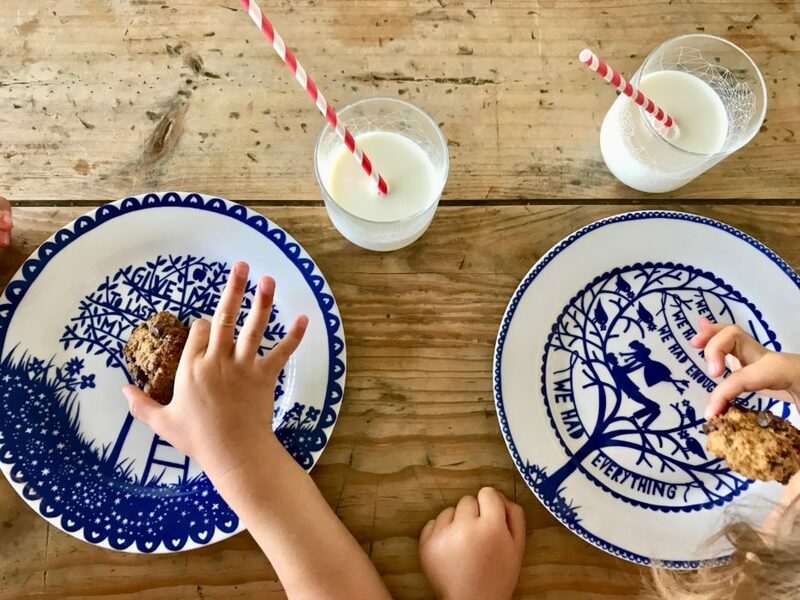 We used the choc-chip cookies recipe from Real Food, Healthy, Happy Children by Kath Megaw (such a great recipe book with tons of easy ideas for littles). There was one strange thing with the recipe, it said the batter would make 48 and we got about nine. I am sure it is meant to say 4-8 because who wants 48 cookies anyway? Preheat oven to 175 degrees. Line a baking tray with baking paper. In a medium sized bowl, whisk the egg, then add the vanilla, coconut oil, salt, and xylitol. Mix in the baking soda, almond meal, macadamia nuts and cacao nibs. 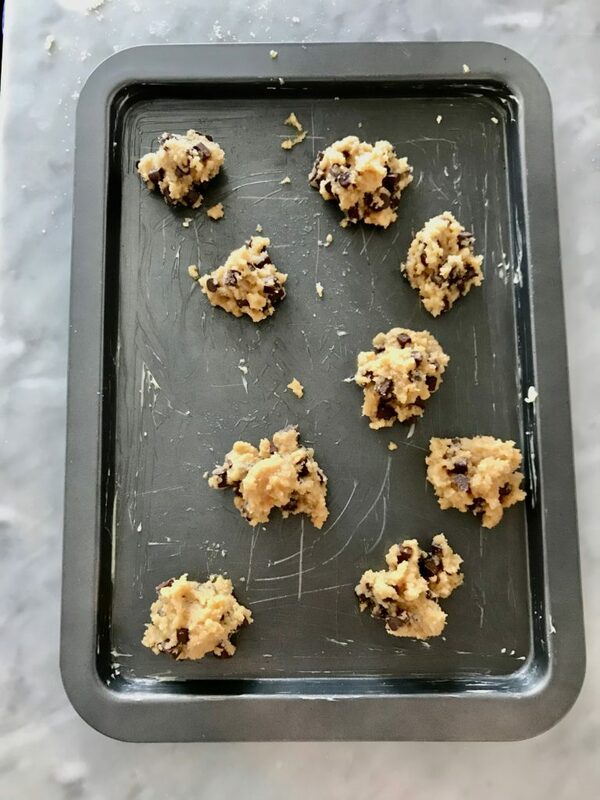 Using your hands, mould the cookie dough into small balls and arrange on the baking tray, flattening each one with the palm of your hand as you go. Bake for 10 minutes. Best served hot (because of the oozing chocolate) with a glass of cold milk.